This Hampton Bay chandelier consists of a durable iron construction with a solid, modern design that brings a new look and feel to both casual and formal interiors. The oil rubbed bronze finish is complimented by the tea stained glass shades that spread soft light evenly throughout the room for a warm glow. 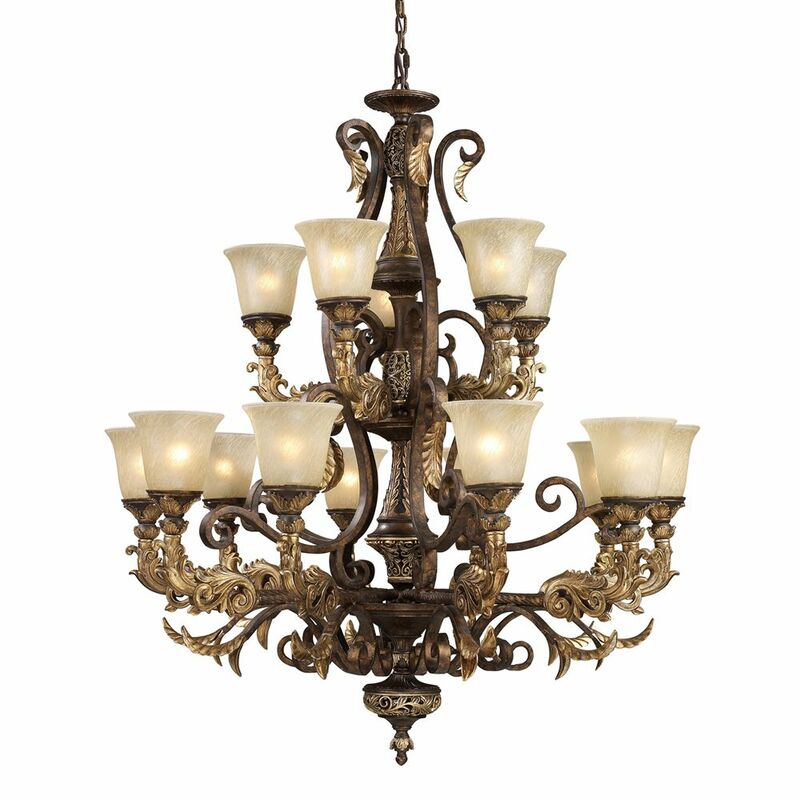 15 Light Ceiling Mount Burnt Bronze Chandelier Inspired By The Scrolling Design Of The Trump Family Crest, This Collection Creates A Rich And Regal Ambiance. The Solid Cast Iron Scrolls And Burnt Bronze Finish Compliments The Delicate Weathered Gold Leaf Accents And Caramel Amber Glass To Create A Dramatic And Stunning Collection.